Hey guys! Today I’d like to share with you a postcard illustration I did recently. It’s a Christmas/New Year one – ready to be printed and be given to friends and family. If you have Photoshop you can change the text and if you don’t there is a JPG file within the archive that you can open for sure and send to a print shop or print it yourself. Just in case you’d like to support the artist here is a link to some merchandise with this artwork. You can buy a card for only $3.36. Hey guys! This is one of my old (2012) marijuana ornaments that I really enjoy. Now you can order a high quality t-shirt with this print. There are 3 colour options for this design – Rast, Green and Pink. I guess this design might event work as a Valentine’s Day present :) (yeah, I now it’s still middle of summer). Hey people! My t-shirt production process is developing and now I have an option on print t-shirts on demand. Which is very cool ‘cause I don’t need to have extra funds to print at least 50 tees at one time as it was before. 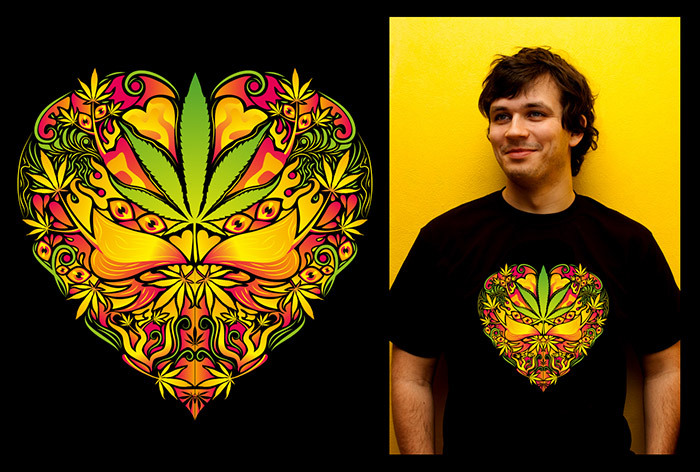 Besides the apparel is going to be of a higher quality for these print on demand designs. Hey people! Today I’d like to be more useful for you rather than entertaining. You know I love vector art and I even submit some stuff to shutterstock. I have not posted any free vectors for quite a while so I’d like to share one of my popular files with you. 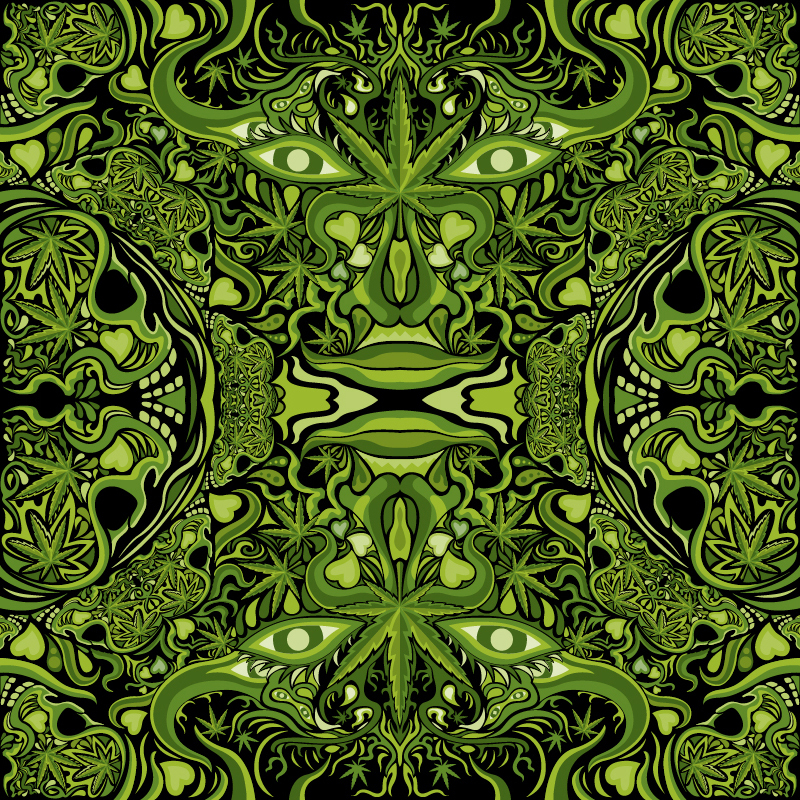 It’s pretty trippy so it might fit your psychedelic needs. Hey guys! I’m finally back from our loooong Russian New Year holidays. 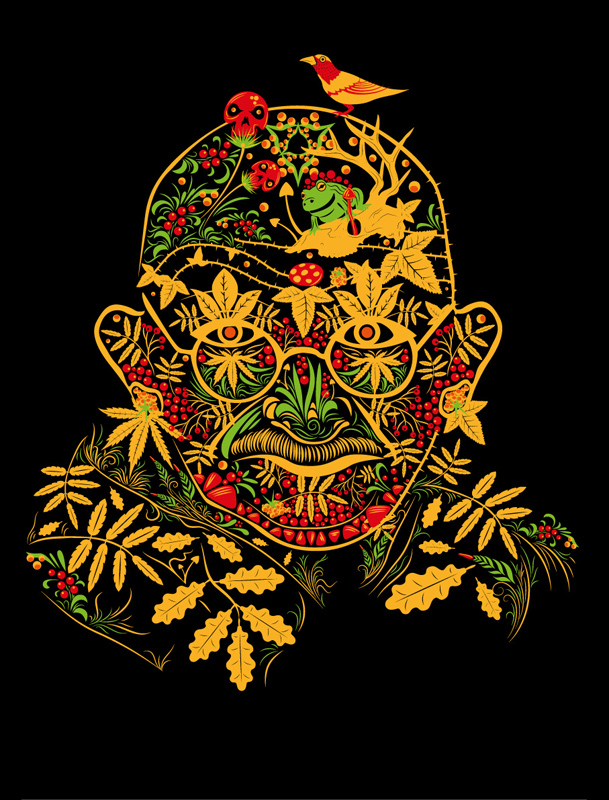 Today I wonna show you my new t-shirt – Gandhi Psychedelic Khokhloma. I truely adore Gandhi (not very original but true) and I wanted to use my Halloween Khokhloma to create this design. You’ll find photos of the t-shirts and the original digital design within the post. Hey people! 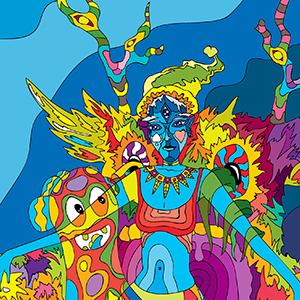 Halloween is getting closer and I’ve made a new psychedelic art free vector set to help you make posters, postcards, flyers and other party stuff. Since I’m russian I decided to make the design with a Russian accent. 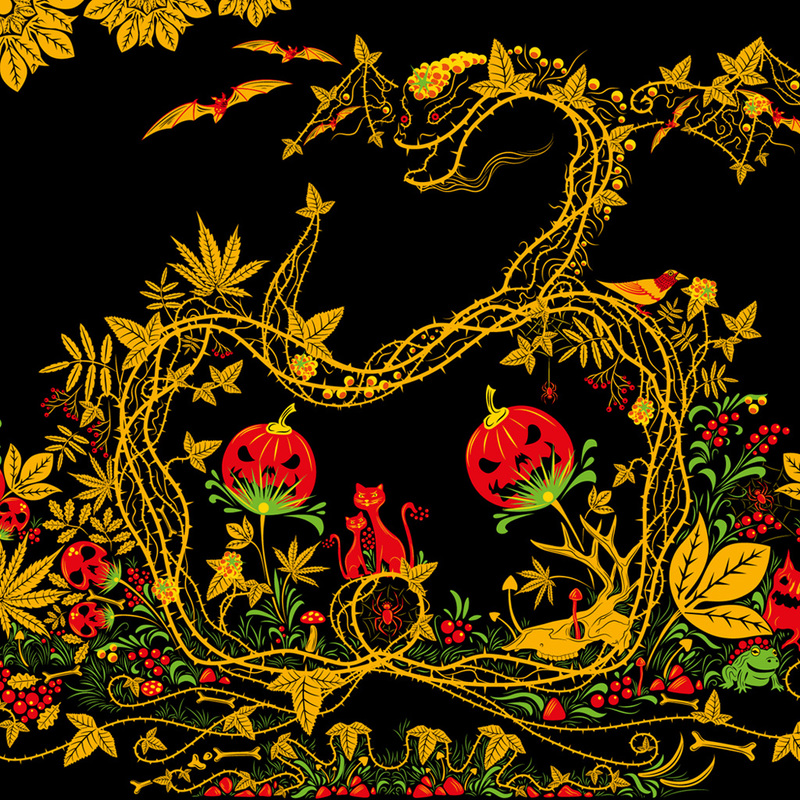 The style reference I was using is named Khokhloma – a very old traditional Russian painting style. 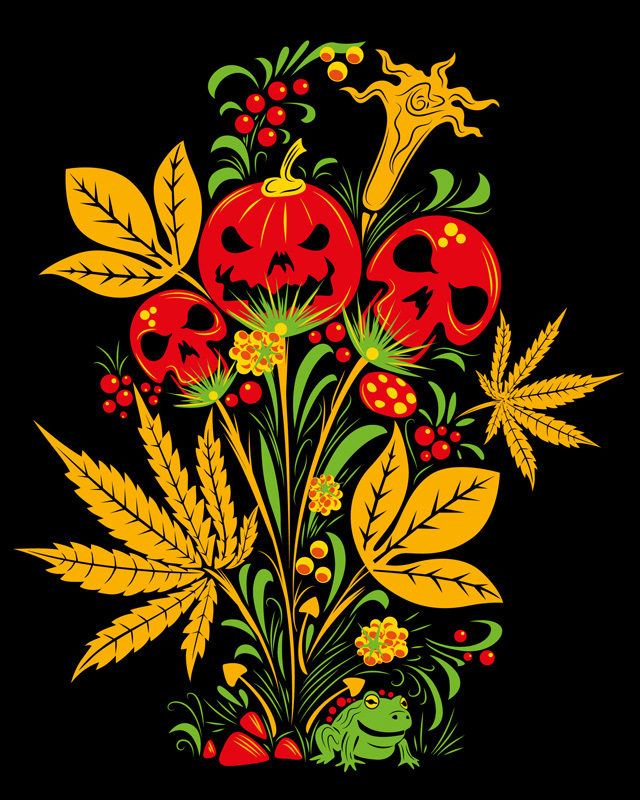 But I did not just copy it – the result is a mixture of Khokhloma’s coloring and curves and Halloween objects – pumpkin, skulls, frog + a small psychedelic touch such as magic mushrooms, datura flower and marijuana leaves. Hey psychedelic people! I know Valentine’s Day is going to be only in a month, but today I’d like to show some of my art that refers to love. 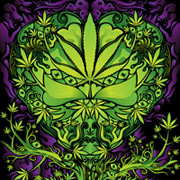 I’s going to be a “Marijuana love tree” vector artwork. 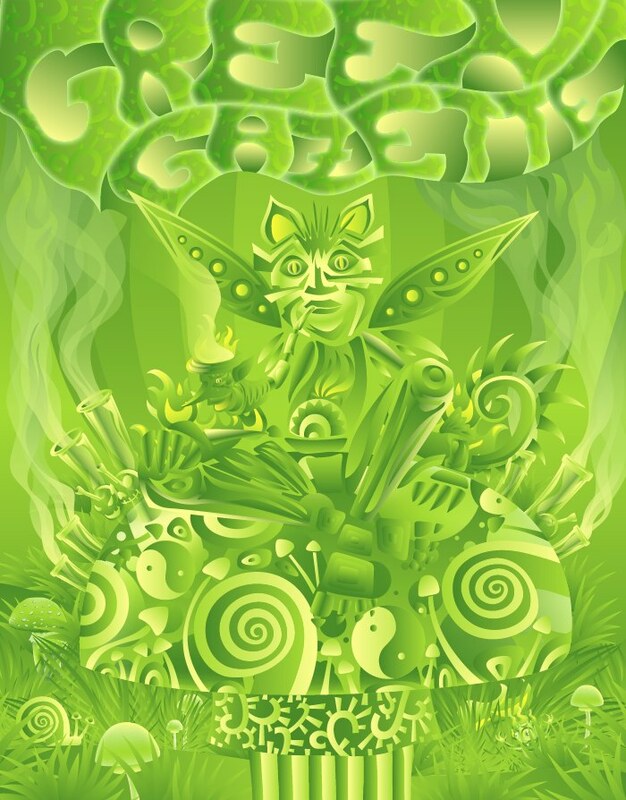 I’m sure there are lots of weed lovers among my readers, so this is for you guys!